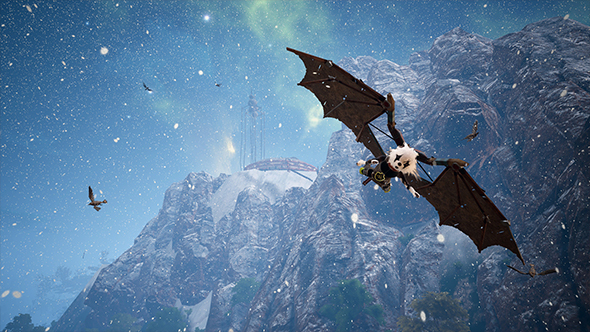 The furry kung fu action RPG, Biomutant, made an impression with its unique setting and customisable gameplay options. While an RPG with a fantasy setting suggests an epic adventure, a new interview suggests that Biomutant won’t overstay its welcome – if you don’t want it to. Check out the best RPGs on PC. Experiment 101 studio head Stefan Ljungqvist tells DualShockers says the game will be a minimum of ten hours, based on how you play and how much you want to accomplish. That’s about how long it would take to rush through the requirements needed to see the credits roll. Naturally, there’s quite a bit of optional content, and a lot of that ties into the game’s multitude of endings. Stefan points to a specific example with a tree of life that you can work to heal over the course of the game, which will impact the world’s chances of survival in the end. Similarly, the world’s warring tribes feed into a Yin and Yang morality system with its own effects on the conclusion. Biomutant is set to release in 2018, and it’s offered quite a bit of promise, even if there are some rough edges. Still, Experiment 101 seem aware of potential criticisms with things like an option to reduce the frequency with which the narrator chimes in, and there’s lots of room for the game to take shape ahead of its release next year.